When I first moved to New York in the fall of 1997 my new neighbors from the apartment above invited me over for dinner with their family and friends. They were from the island nation of Trinidad and Tobago, a small republic off the northern coast of South America. They made a spicy curried chicken with a number of sides inspired by their native country for the meal. At one point, I was asked to sample a peppery paste that went with the chicken. I took a small taste which made me cough and my eyes water. The entire group let out a big chuckle, because right before I sampled it I was bragging about how I could handle spicy food. 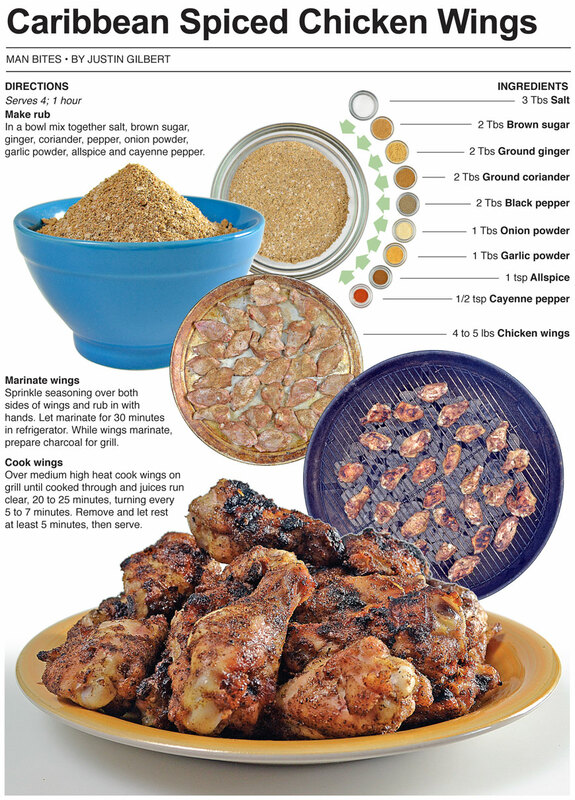 For this recipe, I make a dry rub for chicken wings with Caribbean flavors. It features ginger, coriander, allspice. It’s nothing like the pepper paste I tried at that dinner in New York, but it has many of the tropical island flavors I tasted for the first time as my new neighbors welcomed the “white boy from Indiana” into their community. I lived in my first apartment in New York for five years. The couple who invited me to dinner moved out after the third year and I ended up getting to take-over the backyard, which I landscaped and turned into a small paradise in the middle of Queens. As soon as I moved in they let me put a charcoal grill back there, so getting to take it over for myself was the icing on the cake. It was a real luxury to have a backyard and it was there that I discovered my passion for cooking. I would make entire meals over charcoal and way more food than I could possible eat in one sitting. It was nothing for me to buy three or four cuts of meat on a warm Saturday night and grill all of it for later in the week. I loved hanging out in my backyard with the grill blazing and the beer chilling. That's where my culinary journey really took off - on a little patio in the middle of Long Island City, Queens. 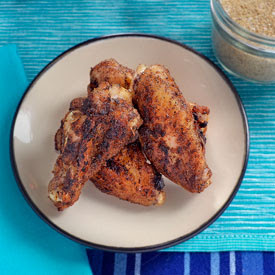 In a bowl mix together salt, brown sugar, ginger, coriander, pepper, onion powder, garlic powder, allspice and cayenne pepper. 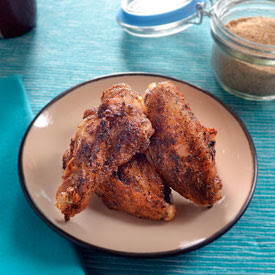 Sprinkle seasoning over both sides of wings and rub in with hands. 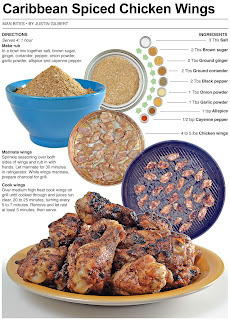 Let marinate for 30 minutes in refrigerator. 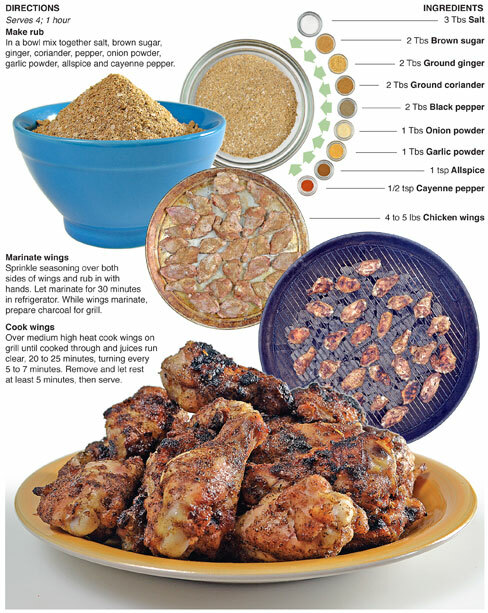 While wings marinate, prepare charcoal for grill.